We spent a lovely month during the summer at a delightful home exchange in the small town of Charlton Kings, 2 hours west of Heathrow Airport, London. Our exchangers were a lovely young couple with 2 children, who enjoyed our home in the wine country while we stayed at their unique, very English home: a 300-year-old barn conversion with a modern addition. This proved to be an excellent base for exploring this beautiful area of English countryside known as the Cotswolds. 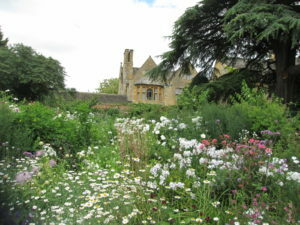 National Trust houses and gardens which we enjoyed visiting in the Cotswolds include: Hidcote, Newark Park, Snowshill, Lodge Park and Sherbourne. Visit www.nationaltrust.org.uk for details on all their properties. 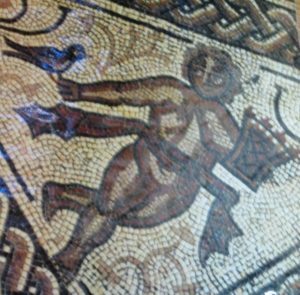 A particularly interesting visit was Chedworth Roman Villa: the remains of a Roman settlement with several well-preserved buildings and floor mosaics. The site is still under development, and it was very interesting to watch the archeologists at work. Going back even further in history, we had a wonderful hike up a steep hill through meadows and woodlands to visit Belas Knap, a Neolithic long barrow (burial mound). Situated on a high plain with incredible views over the countryside, we sheltered from the rain in the rock entrance to the barrow and considered what life must have been like for those who lived here almost 5,000 years ago. 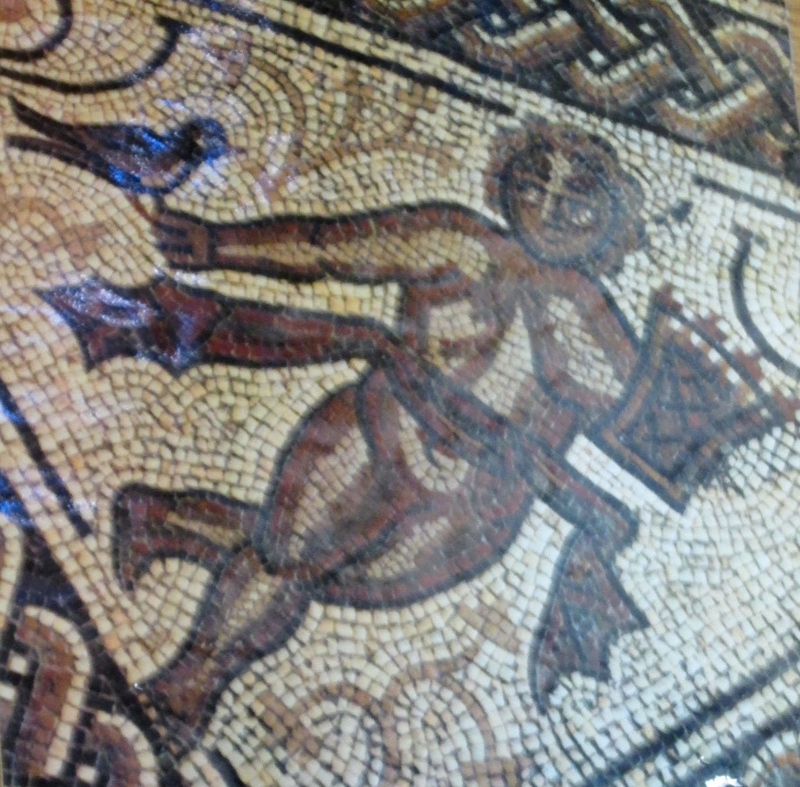 Visit http://www.english-heritage.org.uk to see all the great sites that English Heritage maintains for public enjoyment and education. If you are a train lover, or just looking for a great day out passing through the spectacular scenery of the Cotswolds, check out the Gloucestershire Warwickshire Railway: www.gwsr.com. 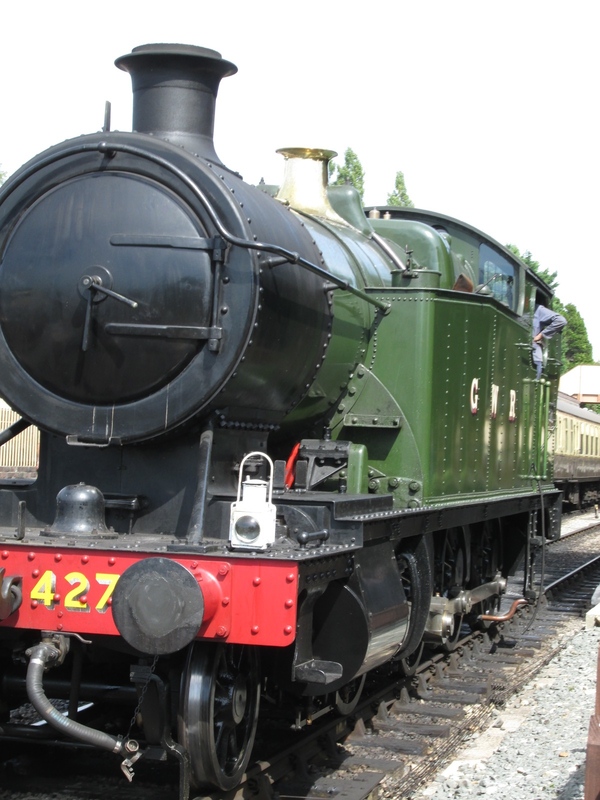 It is a volunteer operated heritage railway running steam and diesel trains on a 24 mile round trip. With stops at a couple tiny towns and an on-board café car, it makes for a fun day out. If you buy an all-day pass, you can leave the train at Toddington and take a hike to nearby Hailes Abbey (English Heritage), then re-board the train at Winchcombe for the homeward bound segment (hiking between stations on the Cotswold Way trail).